A Florida teenager is the first person on record to have contracted the Keystone virus, according to a report published in this month's Clinical Infectious Diseases journal and coverage by multiple news outlets. Previously only found in animals, the Keystone virus is spread by mosquito, specifically the aedes atlanticus. The virus was identified in the 16-year-old teenage boy following a visit to a North Central Florida urgent care clinic in 2016. 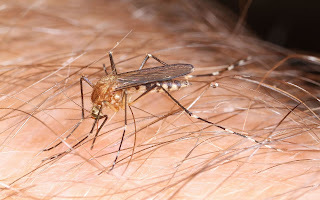 Physicians initially thought the teen's fever and rash was caused by Zika, but researchers from the University of Florida eventually found the Keystone virus in patient samples. Lab studies indicate that the Keystone virus can infect brain cells and may pose a brain infection risk. Researchers suspect that the Keystone virus has likely infected humans for many years, specifically in North Florida. Until now there was no way to test for the virus and symptoms associated with the virus were likely mild. The Keystone virus is named after the Florida town where it was first identified in 1964.